It would be easy to discount Sinister as another horror movie seeking to exploit the desire for good scares from the horror movie fan universe. Through our Sinister review, you will learn that to be wrong. The film is a much needed shot in the arm of originality for the genre that more often than not of late, has come up short in that department. In a horror world filled with movies that have Roman numerals next to their name, Sinister scores because it is something we’ve never seen before. Ethan Hawke portrays true crime novelist Ellison Oswalt. As the story commences, it becomes clear that law enforcement is not a fan of his work. Fred Thompson’s sheriff lets the author know that he will get no help in investigating the horrible crime that happened in his town. Seems a little girl hung her family from the backyard tree and disappeared. Oswalt, we learn, has had one hit book and that was over a decade ago. Since then, he has enraged police departments across the country. In many subsequent novels, the cops feel the author has given a callus portrayal of their investigative practices determining what happened during unspeakable crimes -- all for profit. Hawke arrives in this quaint town with his wife, son and daughter. The audience understands why he’s there, but his family -- knowing his line of work -- chooses to remain ignorant as to why they have moved (again). Another clue the viewer is exposed to that the family is not… the killings happened at the very home where they are unloading boxes. Sinister does its horror thing by establishing a reason for the mayhem, all while keeping the answers at bay while the questions pile up. As seen in the Sinister red band trailer, there is a puppet master to the madness at the Oswalt home. The thing is… what does the Pagan God Bagul want? And as the Have You Seen Him Sinister poster alludes... if you have, it's too late. You're already dead. The film, directed by Scott Derrickson, also brings something new that is a variation of something that is getting old. Found footage movies have rightfully found a home with the horror genre. Yet, it has reached a point of saturation. 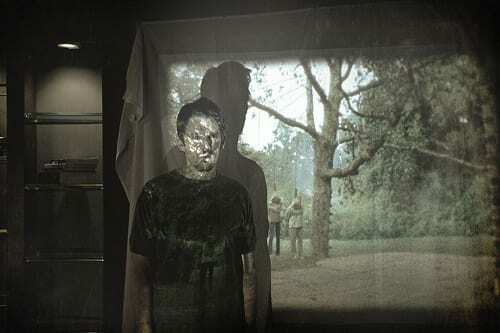 In Sinister, there is footage that is found, but it is not utilized in a way that exploits a filmmaker’s mode of storytelling. Oswalt finds a box of home movies in the attic. The audience gets to discover what is on them as he does, except we don’t have the crutch of a bottle of scotch that makes it easier for our crime novelist to digest what he’s witnessing. It is one gruesome family being murdered after another. This discovery sends Hawke searching for clues. Where are these murders? When did they take place? Why are these movies in this house? 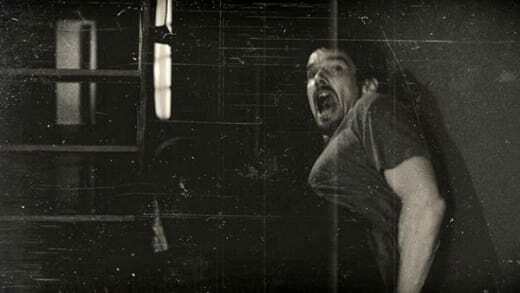 It is through these home movie murders that Sinister becomes truly skin-crawlingly creepy. So much so, that you will not be able to shake it… long after Halloween has faded into memory. The film’s lead has avoided the horror genre because, as he said in our Ethan Hawke exclusive interview, it didn’t speak to him. That the Sinister story scored the serious actor should give further weight to the power this film has in its own right, regardless of its scary genre home.